When I was writing regularly for ARTnews and the Wall Street Journal, I checked into Facebook only sporadically, usually when I was in the middle of transcribing a dull interview or blocked in writing a story. It was a mildly engaging way to keep up with a journalist friend’s interior-decorating project, or read Jerry Saltz’s latest rant, or find out what an art historian buddy had for lunch in Rome. But it wasn’t a regular part of my daily routine. Then, when I launched the campaign to fund Vasari21 and began building the site itself, I found myself, in just a few months, with scores of new artist friends, whose posts began appearing regularly on my news feed (and I’m still not completely sure how this works). These were usually about shows or new work, and much as I enjoyed seeing and keeping up, I also wondered, What’s the point? Of course your friends are going to say they love what you’re doing and will try to attend the opening, but beyond those pleasantries, what good was all this outreach? As it turns out, when I interviewed about a dozen Vasari21 supporters, social media—especially Facebook and Instagram—offer all kinds of ways to connect, promote, intrigue, seduce, and get the word out about your work, your life, and your passions. Here are some common-sense tips and rules. 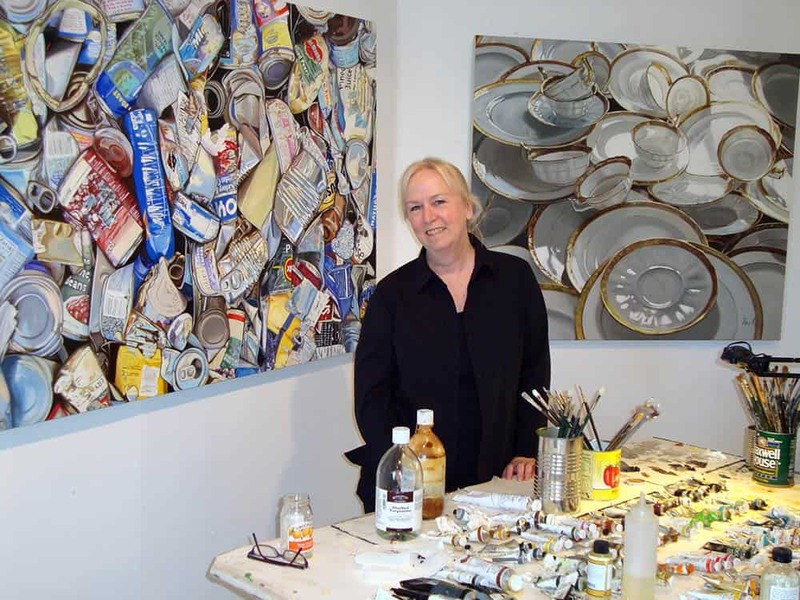 Leslie Parke in her studio. “You can only go to so many shows and openings,” says Fran Shalom. “But so often I’ll go to an opening in New York and I’ll find I know people from Facebook. I will message people privately if I see a show I like because I don’t always want to post publicly.” Privately is also a way to air grievances. More that one artist said she would message a Facebook friend if she felt she was being treated badly by a collector or a dealer, and try to get the scoop, or advice, from others. “I’ve been able to become friends with people I’d ordinarily be too shy about approaching,” says Parke. “And as someone who has chosen to live a very rural life, social media allows me to keep up with what’s going on in other communities.” There have been legions of artists throughout history who are reclusive or misfits or uncomfortable in social situations. One wonders what Joseph Cornell might have posted on Instagram, or how Cézanne could have documented his views of Mt. Sainte Victoire on Facebook is his final isolated years in Aix. When Valeri Larko, a plein-air painter who finds the quirky beauty in scenes of urban blight, was at work at a site in the Bronx, she met a graffiti artist named Ram (his “tag” name) who showed her how to use Instagram. Later, in the midst of working on a painting called Top Dollar, an abandoned cabin cruiser mysteriously appeared in the scrap yard where she had been setting up her easel. Another graffiti artist, Saet, asked if he could do some images on the side of the boat and if she’d add those to her canvas. Larko documented, scene-by-scene, the progression of the work, including the appearance of the boat, and then the boat with Saet’s wild balloonlike lettering. Followers could see the work in progress and, from a distance, participate in her decisions. “It became a kind of visual blog,” she says. Virginia Katz talks about her painting Into the Deep. Social media connects her with hundreds more admirers. The variety of outlets—Facebook, Pinterest, Instagram, Twitter, and LinkedIn—will be bewildering to the novice. If you’re new to social media, have a savvy friend guide you gently into the fray, preferably when you’re both in front the computer, and take it slowly. Unless you fall down the rabbit hole, this need not become a major part of your day, just a handy tool for connecting. One big advantage is that most of this will not cost you a dime, and the travelers you meet along the way may become invaluable—whether it’s a dealer in an upscale gallery, a collector in Hong Kong, or a graffiti artist in a junkyard. I have not had the best luck with social media, but I have met some wonderful artists in Paris and around the world. And you are right you never know what connections you will make. I have met and been introduced to a number of artists through social media. It’s wonderful to meet them in person after only knowing them “virtually”. I more recently starting using instagram and the visual format really appeals to me. I’m enjoying Vasari 21 – thanks Ann! So happy to have found this site!! Great article! I use Facebook for posting my art. I love being part of a larger community and seeing what artists are doing and deciding if I like the work or not and why. Basically seeing other artist’s work and hearing their stories challenges my perceptions. I have friends all over the world. I don’t like all the art I see. And that makes me wonder why. I get exposure, shows, sales, and contacts through Facebook. I am giving people the opportunity to see my work and own it if they want. And I on the other hand, see my work through their eyes if they comment and not just “like”. 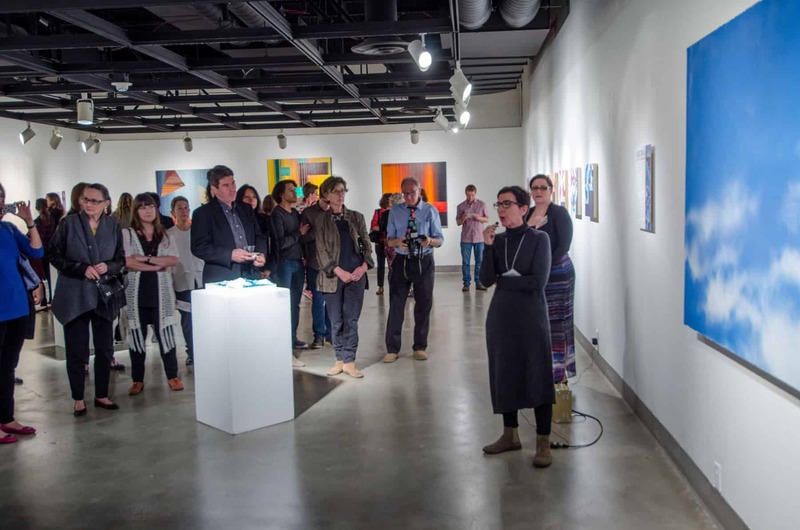 Should my work have to be limited to a gallery or the curatorial venue? I want it all. I want the curator to comment, I want everyone to see my work, and I want a gallery. I don’t think these things are mutually exclusive. I want to make my work available to the largest audience possible. Either someone wants it or likes it or they don’t. I understand the gallery position. They want exclusivity. They want to limit the opportunity. They want the highest prices they can get. Social media removes that exclusivity. 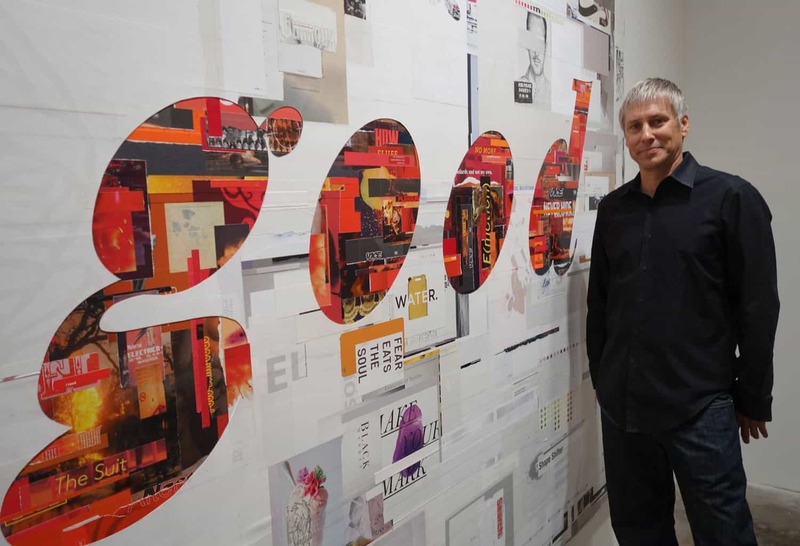 I have also made it one of my new year resolutions to connect with artists all over the world …ive made connections from Berlin to New York to Japan , Hong Kong ,and others…. I am really inspired by their work and happy to “like ” their work . Unfortunately whilst I am also respectful to these artists , ….. There are no likes at all for the work I post. I don, t know if they are just arrogant people , or that they don,t like my work. Just left G.S.A. in Glasgow last year. I am a multi award winning conceptual artist who makes things and works with people. … Although I was a mature student established in another field bfore studying for 5 year,s at G.S.A… I would regard myself as emerging… Agree with Annie , I,m very grateful to be connected to so many wonderful artists all over the world… albeit digitally ..
Researching artists and their work all over the world has been another layer of education. I quickly move on from those that won’t expand my mind and I admit that when looking at their personal info -if posted- if there are many pictures of themselves or silly stuff or it’s too crafty or simplistic, I move on. My second fb page is my art centric page where various work has been shared for my future reference/inspiration. Some of my encaustic work is posted but it’s secondary to the large collection of works from others. Thank you Ann for sharing this , I’m sharing as well.